So Max and I were unable to go to E3, however most of the information is out. We are still in the process of digesting all of the press conferences and stage shows. We will be delivering an extra large podcast later this week. This will include our reactions to the big 3’s press conference. In an interesting note, Microsoft did announce a XBOX 360 Slim. And in a twist, it is shipping this week. If you are interested in getting one, you can get it for about a hundred bucks or so. 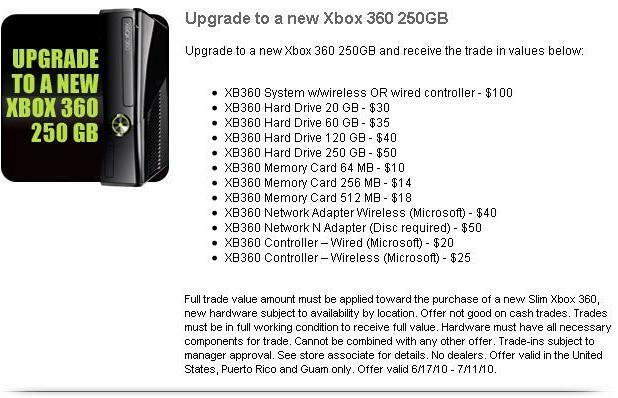 If you have a XBOX, a few controllers, maybe even an extra hard drive you can reduce your costs greatly. That means I owe about $42.80 for a new XBOX 360. If you have the cash and can do this, I recommend it. You get a new warranty, a new system, and something that sounds less like a jet taking off. Keep an eye out for the podcast soon.